A thoughtfully renovated Victorian property located in Williamstown, was styled with stunning family appeal. The house boasted a traditional front layout, including four bedrooms, with a modern rear living space. Each of the four bedrooms were uniquely styled, including an original Kerry Armstrong piece 'Night catch' adoring the walls of the master suite. A toddler room was staged in the smaller fourth bedroom for family appeal, including toddler bed, activity table and chairs, together with bright and colourful decorator items. Children may not be able to afford to purchase a property, but they can strongly influence a parents' purchasing decision. The light-filled open-plan kitchen, dining and living area opened to an alfresco entertaining space. All furniture, accessories and statement artwork, including an additional Kerry Armstrong piece, were selected to complement the property and appeal to the family buyer. This resulted in strong interest and a lively auction, with five individual parties actively bidding on the property. A compelling result was achieved when the auctioneer announced the property as sold. 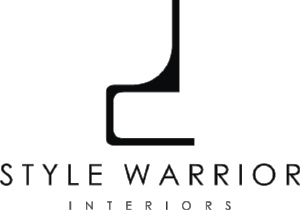 We sought recommendations from friends and the wider community, doing a lot of research before engaging the services of a stylist when selling our home. Exceeding all expectations, Amanda worked around tradesmen, kids, general household activities, and the dog, with professionalism and ease. We were beyond thrilled with the inviting, livable, visually beautiful home created for us to present throughout our campaign.